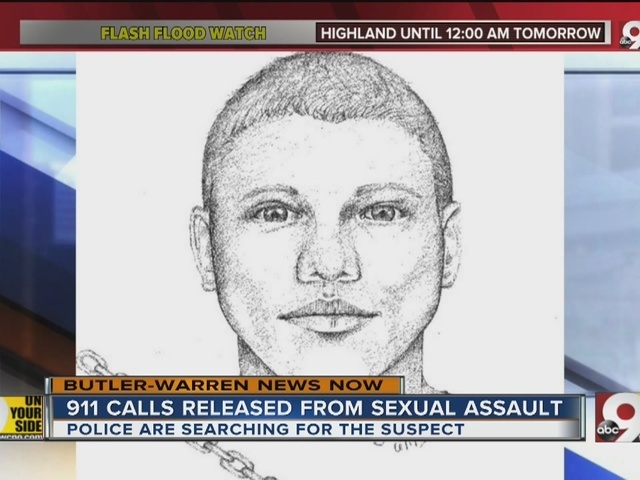 WEST CHESTER TOWNSHIP, Ohio -- West Chester police released a sketch Wednesday of a man they say attacked a woman when she got home from work and told her he wanted all her pain medication. The assault happened Tuesday afternoon at a home on Tylersville near Apache Way, according to a police report. 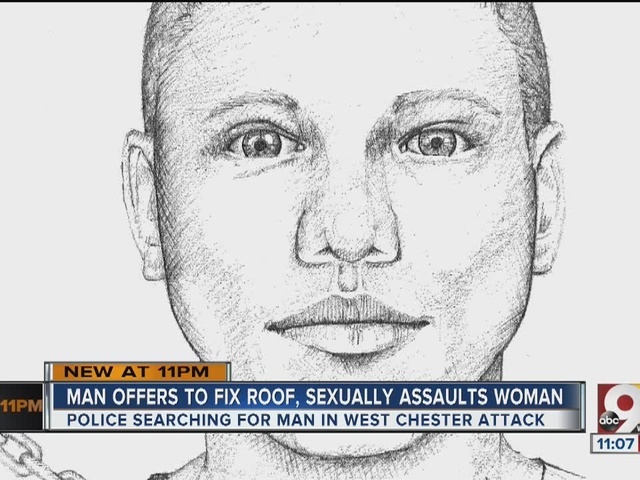 The man told the victim that her roof needed repair work, according to Crimestoppers. When she told him she wasn't interested, he grabbed her around the throat, pulled out a knife and forced her inside her home, Crimestoppers' report states. The man indicated he was addicted to drugs and alcohol and that he has a family, police said. He also sexually assaulted her, police said. "This has never happened that I recall -- and we just don't have any problems in this area," said Larry Johnson, who lives nearby. Hanien Alchahal also lives on the street and is afraid to go outside at night since the incident. "It makes me a little bit more uncomfortable now because I can't go out during the night I can't open the door and all of that," Alchahal said. Police said the attacker is white, in his mid-30s, about 5 feet 9 inches to 6 feet 1 inch tall, with a medium build. He had light brown hair -- short on the sides and longer on the top -- and a slight gap in his front teeth. The man also had a neck tattoo on the left side and a chain tattoo that went around the circumference of his forearm, possibly the right arm. He was wearing khaki pants, work boots and a dark green T-shirt, which may have had an emblem with an "A" on it. Police said he may have been in a black Acura CL with a rear spoiler and silver/alloy factory rims. The police department encouraged people to be aware of their surroundings and to keep vehicles and doors locked. Residents should also keep their garage doors closed, even when they're home, police said. Anyone with information on the man is asked to contact the West Chester Police Department at 513-777-2231.